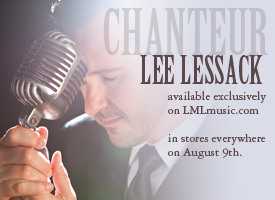 Gecko Records, Inc. has announced that the Chansons dâ€™amour: An Homage to the Great French Songbook (from an American Perspective) starring Amanda McBroom & Lee Lessack at the FORD AMPHITHEATRE in Hollywood is now scheduled for Friday, October 7, 2011. The date was re-scheduled from Saturday, July 30, 2011 due to scheduling conflicts. We regret any inconvenience. FORD AMPHITHEATRE offers a full refund or ticket exchange, and has contacted all ticket holders. Notes: The songs of Belgian-French balladeer Jacques Brel stay with you. 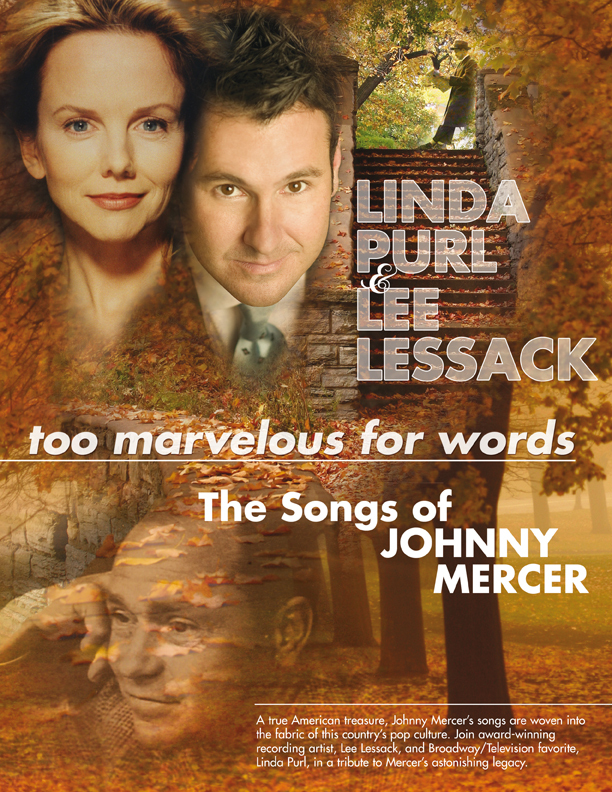 Singer-songwriter Amanda McBroom, author of The Rose, knows the French songbook. Sheâ€™s starred in productions of Jacques Brel is Alive and Well and Living in Paris across the U.S. and Europe and her latest album, Chanson, is devoted to his artistry. 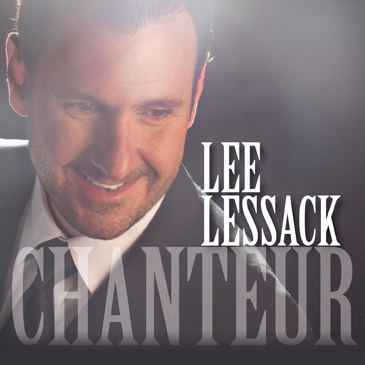 Billboard Magazine calls Lee Lessackâ€™s singing â€œCabaret romanticism of a high orderâ€ which is evident on his latest CD Chanteur. The two of them lend an American perspective not only to Brel but to Michel Legrand and Charles Aznavour in this world-class cabaret evening celebrating French song. celebrating the Great French Songbook. Please join us as we share the music of Jacques Brel, Michel Legrand, Charles Aznavour and more! Address: 1000 West Foothill Blvd. It may be raining in Daytona, but that won’t keep us from celebrating the music of Irving Berlin tonight in Daytona Beach. Â It’s been quite an eventful 72 hours. Â This past weekend, Linda Purl injured her foot and had to have surgery and thus she wasn’t able to fly with me to Daytona Beach for our appearance at the Peabody Auditorium this evening. Â We are performing our concert, “Steppin’ Out With My Baby: The Songs of Irving Berlin” and very thankful that Joanne O’Brien has graciously stepped into the show AND learned all 3,786,423 lyrics in just 48 hours! Get Ready Arizona….Here We Come! 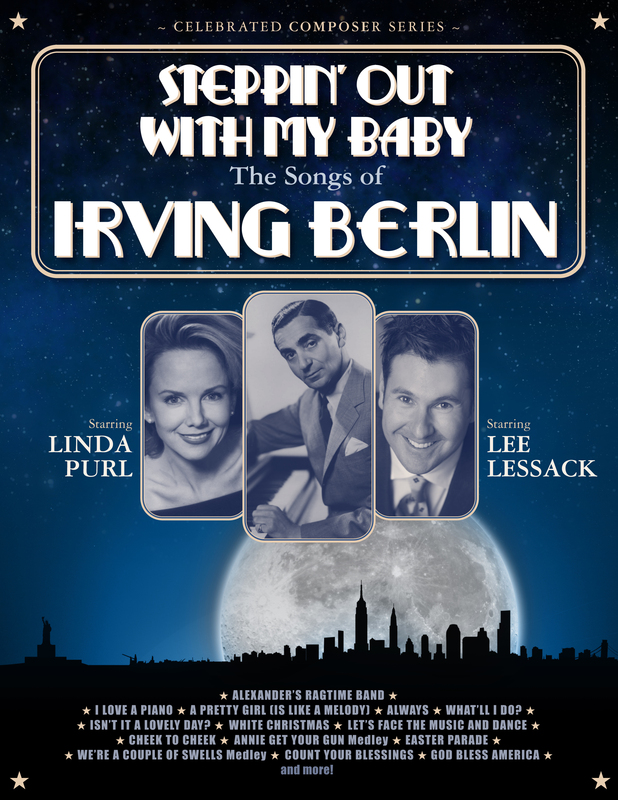 Looking forward to performing “Steppin’ Out With My Baby:Â The Songs of Irving Berlin” with the delightful Linda Purl and John Randall. Get all the details on the On Tour section of the site!